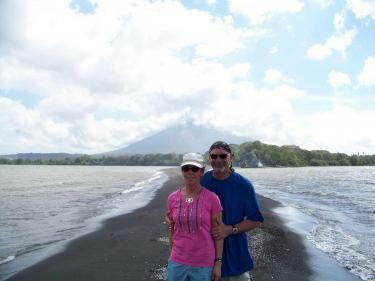 In March of 2014 we traveled to Central America for a month. Our first destination was San Juan Del Sur, Nicaragua. Before going I looked on PfaP to see if there were any charitable organization that we could help out. We found through The Pelican Eyes resort the A. Jean Brugger Education Project. Our good friends Donna and Randy Kouba were kind enough to purchase school supplies which included pens, pencils, rulers, paper and many other needed items. We delivered them to the resort where they were kindly accepted and distributed. Thank you PfaP for providing this trusted way of delivering needed supplies to charities.